For the busy pet parent who wants the best for their pup. Humane dog training and professional pet care when you can’t be there. From private in-home coaching to day training with your new puppy, Girl Friday ACK is dedicated to providing Nantucket’s pet parents with professional and humane dog training and pet care. Say goodbye to nuisance behaviors, and hello to an incredible new relationship. 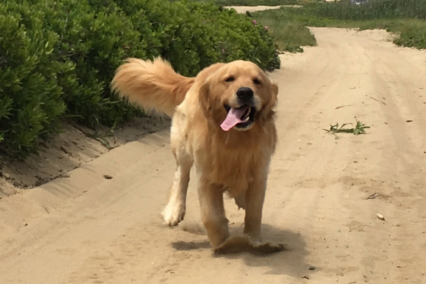 Girl Friday ACK is Nantucket’s only provider of professional dog training services accredited by the Certification Council for Professional Dog Trainers – the sole independent examining body in an otherwise unregulated industry. We specialize in humane dog training and professional pet care. Companion animals make a home. But new puppies can be a lot of work and it can be stressful worrying about the care your pets are receiving while you’re away. 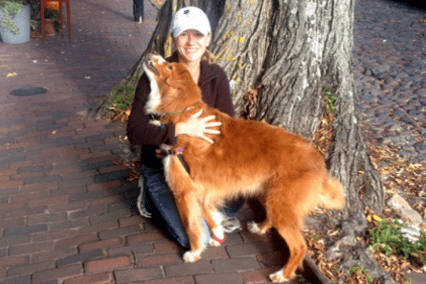 Girl Friday ACK was founded to help Nantucket’s pet parents with all of their pet care needs. Our philosophy is simple – everyone needs a little help sometimes. Nantucket may be 28 miles out to sea but that doesn’t mean you ever have to feel alone. We bring companion animals into our lives and welcome them to our homes because of the love and friendship they offer. We believe that being a pet parent should be fun, not stressful. We should look forwards to wagging tails and puppy kisses when we come home, not to frantic jumping or the remnants of a destroyed couch. And having a great relationship with your pets shouldn’t depend on harsh training methods or yet another long dog walk at the end of an already busy day. Girl Friday ACK is the brainchild of founder Als Allan. Having worked as a lawyer for over a decade Als fully appreciates the burden of life’s daily demands. There’s nothing more frustrating than service providers who don’t come when they say they will or do what you ask them to do. Finding people you can rely on and trust is all too often a job in itself. Girl Friday ACK is committed to the loving care and training of our companion pets, and to making your life a little less stressful. Als has been my trusted and beloved dog sitter for over 3 years. Anyone who knows me, recognizes that I have A difficult time trusting anyone with my animals. In fact I forgo vacations and other outings because I simply cannot relinquish control of care over my pets. However when I know that Als is available and will be here with my dogs, I am completely at ease and know that they are getting the same care and love that they would receive with me. Als is not only trustworthy, professional, and completely respectful of myself and my animals, but I feel that she loves my animals as her own. When I brought home my new puppy Hudson, I was looking for a dog walker. There was only one name that I kept hearing. That that was Als. I believe Hudson fell in love for the first time when Als came over to meet him. All I have to do is mention her name and his tail starts wagging and he runs to the door looking for her. Whether I’m at work or off island, knowing that Als is taking care of Hudson, is knowing that when I get back, there will be a happy, smiling dog at my house. I see why there was only one name mentioned when I was looking for my dog walker. I can’t recommend her enough! Als was Baxter’s good friend for the time we lived on Nantucket. 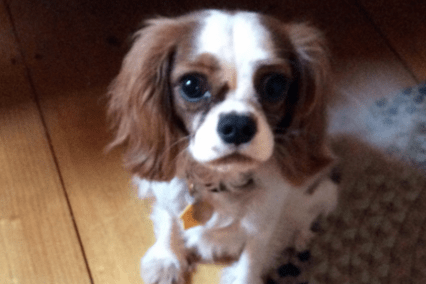 At 1 1/2 years young, my dog needed plenty of run-around time, and unfortunately, being a family doctor did not afford me the flexibility to spend as much time with him as I had expected. Having Als come to our home to walk Baxter every day made all the difference for us: she showered him with love and affection, took him for nice walks on his leash (which he would not do for me! ), and indulged him in his favorite game, playing fetch with a ball out in the field. Als even babysat Baxter overnight when I was away or on vacation; I think he got mighty spoiled by that special one-on-one time with her! My sons, now away at college, wondered aloud why they were not so privileged to have that sort of love and attention from their nanny when they were young! Als has been taking care of my puppies twice a day since I brought them home. She is reliable, responsible, and professional and I wouldn’t think of using anyone else! She treats her services as more than just a job- she genuinely cares about the animals and her customers. Her services are a personalized experience as she keeps me in the loop offering advice when she feels the need. I never worry about the well-being of my dogs and know they are in the best hands on island. I would highly recommend Als she is the BEST!!! Als Allan is a godsend on the island. She has been taking my dog Rye for play dates and walks since we adopted him over 2 years ago. My dog loves her!! Sometimes I think maybe more than he loves me. She is dependable and responsible and I always know my four legged baby is in great care with her. I recommend Als to everyone and will continue to do so. There is no better friend and teacher to your dog then her. Als is great! She is responsive, intelligent and prompt. All that would be enough - it's a plus she loves animals and really enjoys being helpful. Copyright © 2017 GirlFriday. All Rights Reserved.